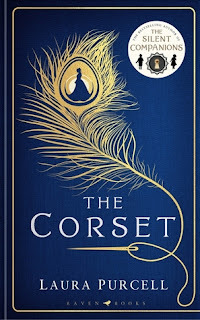 I was not prepared to quite as blown away as I was when I read The Corset by Laura Purcell. It was absolutely excellent and now I've ordered The Silent Companions so I can read more. I think this would make an amazing TV adaptation, the brooding world and dark story were so vivid that I could practically see, hear, and smell it. Is prisoner Ruth Butterham mad or a murderer? Victim or villain? Dorothea and Ruth. Prison visitor and prisoner. Powerful and powerless. Dorothea Truelove is young, wealthy and beautiful. 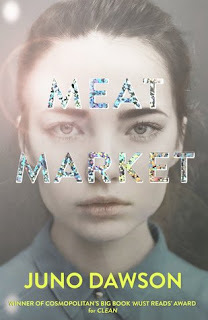 Ruth Butterham is young, poor and awaiting trial for murder. When Dorothea's charitable work leads her to Oakgate Prison, she is delighted with the chance to explore her fascination with phrenology and test her hypothesis that the shape of a person's skull can cast a light on their darkest crimes. But when she meets teenage seamstress Ruth, she is faced with another theory: that it is possible to kill with a needle and thread. For Ruth attributes her crimes to a supernatural power inherent in her stitches. The story Ruth has to tell of her deadly creations – of bitterness and betrayal, of death and dresses – will shake Dorothea's belief in rationality and the power of redemption. Can Ruth be trusted? Is she mad, or a murderer? 5 Words: Power, control, family, betrayal, love. Content Warning: Child abuse, difficult pregnancy, graphic violence. I'd read a few reviews prior to picking up The Corset, so I was ready for a dark book. Or so I thought. But The Corset was far darker than I had imagined. The writing and the story are addictive. I could not put this book down. The story is told by Dorothea's present narrative and Ruth's reflection on her past as she tells her story. I have to say that of the two narrators, Ruth was my favourite. She goes through so much but still feels so strongly, she was so well developed. I really felt for her. The Corset explored the power of hate and anger and manipulation. It examines humanity with a dark gaze, with a need for revenge pressing in from all sides of the story. It is chilling. This is the perfect Gothic horror, full of twists and turns and an "is it supernatural?" undercurrent. It is dark and unsettling and shocking, and as a reader I loved that I had the choice to believe in the supernatural. It is brooding and at all times I had this sense of dread - who would be next? Does she really have the power? Will they be OK? The ending of The Corset was exceptional. Although it did pan out rather how I'd guessed at the beginning, I was still completely shocked by it. Mouth agape shocked. The writing is truly masterful. Oh gosh. This sounds amazing. I am definitely going to have to read this. Oh wow this sounds amazing! I will definitely have to give this one a read!